One of the biggest mistakes made by business owners and native digital marketers is being too focused on vanity keywords and search volume as the indicator of SEO success. This article will focus on user intent, often referred to as “searcher intent”, as the most valuable point of focus for SEO success, in any SEO campaign. Searcher intent (also known as “user intent”) is the motive a person has for carrying out a query through a search engine. Understanding and optimising for your customers’ intent is critical for SEO. How we search for answers has evolved and changed over the years. And with that change, search engine algorithms have been adjusted to return the most relevant results. In the beginning, search engines returned results based on a pretty simplistic formula: They would look at basic factors such as the density of keywords matching the query and some more elusive factors like PageRank. SEO professionals and spammers took advantage of this with keyword stuffing, hiding text techniques and buying links. The era of black hat SEO, unfortunately, blossomed. It was, and will always be, in Google’s best interest to become better at answering queries. SEO success used to be built on gaming search engines, but now SEO is about optimising for what the user is trying to accomplish. As it should be, we’re no longer writing for robots and algorithms. We’re writing for people. After almost twenty years of refining and improving the search experience as we know it today, Google released its mission statement on the future of search. The rater guidelines define their goals in search. 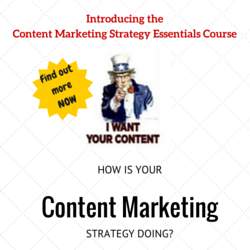 Focusing on the user and creating high quality content are the key messages. The third takeaway is something we should consider but not obsess over: Google rater guidelines define their goals in search but are not a definitive step by step guide to success. Focusing on user intent and determining intent in keyword research is vital for thinking long-term about SEO. With the introduction of the zero-result SERPs, Google has somewhat broken its promise to webmasters. The deal was, we “as webmasters” allowed Google to copy and cache our content. In return, we were rewarded with website visitors. Even though this broken promise has been deemed entirely legal, one can’t help but feel that the goalposts have been moved. All of these changes are in line with Google’s mission to provide users with the best and most relevant results in the shortest amount of time. Instead of fearing the zero-result SERPs, SEO professionals need to think about optimising for a query and not just optimising a web page for that query. It’s time to shift our SEO thinking from keywords to searchers’ needs, even if this means optimising for featured snippets or knowledge panels. Somebody will provide that answer; you or your competitor. Which would you prefer? In the past, we were obsessed with keywords – just look at the sheer amount of keyword research tools out there. Fom Google Keyword Planner, to Ahrefs Keyword Planner to Semrush to Moz to useful free chrome extensions such as Keywords Everywhere… the list is endless. The traditional keyword research process began with a seed keyword. You would type in a seed keyword, throw them into as many keyword tools as you can, find the variations, related keywords, pages that rank for these keywords, semantic keywords…and whatever else you can throw at it. 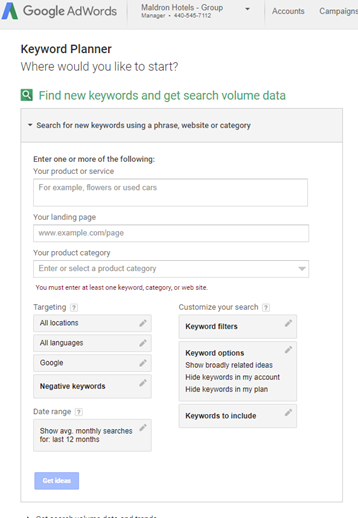 The output was a massive list of keywords that you might then upload to Google Keyword Planner or bulk search volume tools such as searchvolume.io to prioritise based on search volume or “keyword difficulty”. Search volume is the number of times a keyword is searched for in a particular search engine. In the past, search volume was the go-to metric to figure out what would be the best keyword or sets of keywords to optimise a page for. Choose the keyword with the most search volume. No-brainer, right? We relied on search volume for forecasting and reporting. This was despite its inaccuracies, it being averaged over a 12 month period, and Google removing the ability to see exact search volumes. Focusing on search volume is not the best way to select the best keywords for your SEO campaign. Even beyond the fact that search volume wildly inaccurate, optimising content for search volume alone is a severely limited approach to SEO. Let’s take a niche subject – fitness. Suppose you own a gym and you were looking for the best keywords through which people would find your business. You could even take the website you are attempting to optimise and insert it into the tool. We have the option here to find keywords for the entire site, a single page or even the URL as a keyword. 18,100 x 3.05 = 55,205. “Gym” would appear to be the best keyword to target. Despite “gym” being the keyword with the highest search volume, trying to rank in the traditional #1 spot might not be the most lucrative. Engaging in a local SEO strategy for this keyword might be more effective. The intent of the searcher (according to Google due to the presence of local pack) is that a user is trying to find a gym close to them. Ranking #1 for “Gym” is nice for vanity, but not strategy. 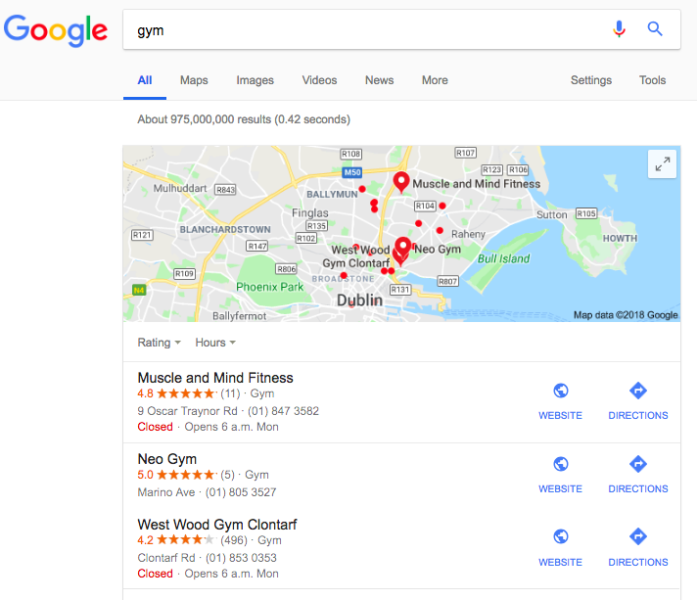 Sticking with the gym example, if you ask any gym owner for their most valuable keywords, they too will probably suggest the same phrases that were returned in the Google Keyword Planner example above. They will give you keywords that describe their business. It’s highly unlikely that these descriptive keywords will drive the most qualified traffic or highest conversion rates. Take the above example that Keyword Planner suggested: “gym workout”. You would think this is a highly valuable keyword phrase, right? People go to the gym to work out. So “gym workouts” would seem a logical choice as a keyword for high conversions. 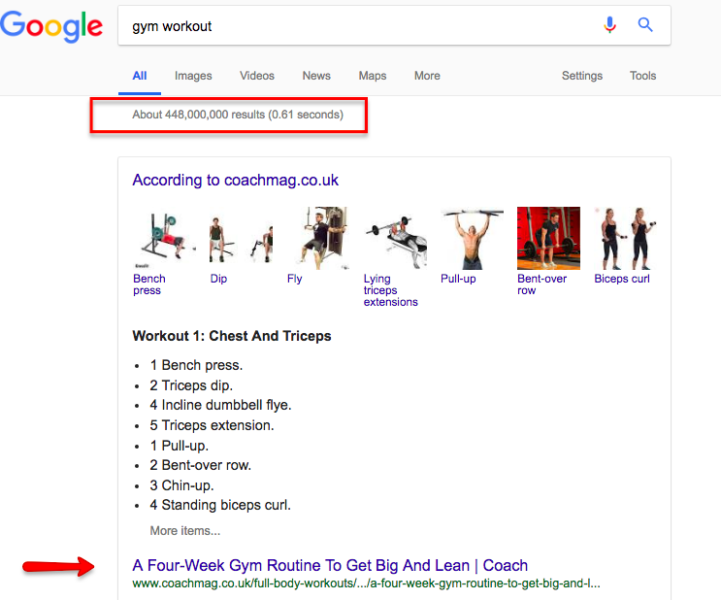 The keyword phrase “gym workout” (as shown above) would have over 448,000,000 other competing results, making this a relatively broad search. And as shown above, the first result is a featured snippet from coachmag.co.uk. 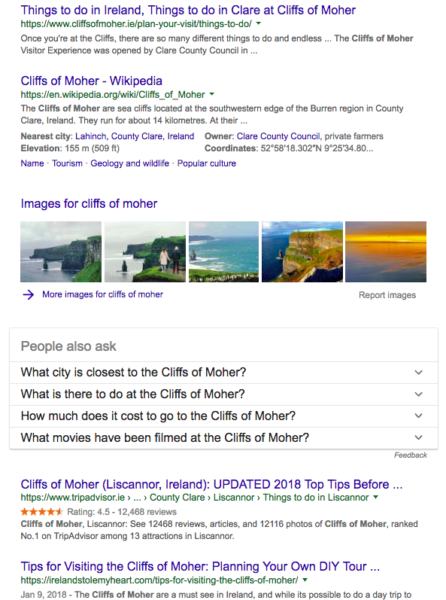 Not only would the first result here have less propensity to drive traffic (Google showing a featured snippet) it might also have less chance of converting, as Google has chosen to provide a quick answer for this query. This would definitely be considered a vanity keyword in this case and would not match the intent of this query. Google is telling us here that when users search for “gym workout”, they are looking for a gym routine. 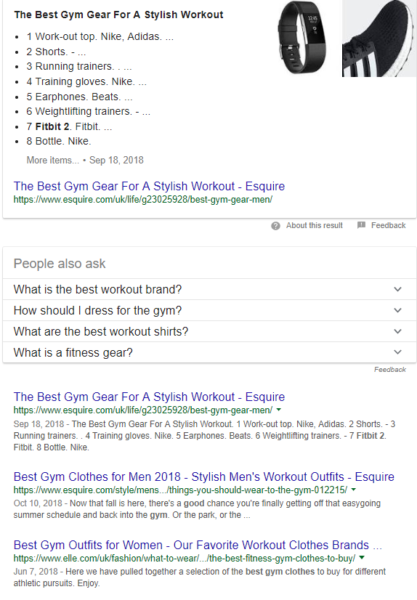 To better match the intent of the searcher, creating a topic cluster around “gym workout” or even a content driven hub around gym workouts might be a better solution. An interesting study carried out in 2007 examined the user intent of web search queries. The study analysed a million queries submitted by several hundred thousand searchers. The findings indicated that approximately 80% of the queries were informational, with the remaining being split almost equally between navigational and transactional. As far back as 2007 (a long time in internet years! ), researchers found that informational search queries contained question words such as “ways to”, “how to”, “what is” and so on. In the study, searchers that used informational terms such as “list”, “top” and “best” viewed multiple results pages. What’s worth noting here, is that when you start thinking about the characteristics of the search query, and the potential psychology behind that particular search, you begin to understand what type of content might best serve the searcher intent. Most good companies want to be the best at what they do. However, ranking for “best + product/service/company” is a little more complex than standard on-page optimisation. People who search for the “best” tend to visit multiple web pages. This suggests that the intent is to find numerous trusted sources to guide them on what they should do/buy. If you’re a business, your website ranking for website for “best” type queries (unless there is very little competition) is highly unlikely because users are looking for a third-party resource. Let’s face it, would you believe the car salesman who tells you he has the “best car”? So it’s no surprise that Google prefers third-party sources for best type queries. Attempting to optimise the Wolfgang website for “best digital marketing agency” would be a waste of time here. However, optimising for third-party review sites is both satisfying user intent (searchers looking for an unbiased aggregator) and achieving the goals of ranking in the top position for this query. The same is true for “best” B2C queries. Frustratingly, this type of optimisation in B2C is often subsidized by ad money. Most of these queries are fueled by affiliate links. The “Buy Nike’ or “Buy Adidas” buttons are no-follow affiliate links. But this result is essentially matching the user’s intent. The important thing is that there are various options to educate and inform the consumer in purchasing. And as a result, it is no surprise that Google has rewarded this organically in the top position. Tripadvisor is a terrific example of optimising for “best queries”. However it might not be the best strategy to try and outrank Tripadvisor’s #1 slot: Instead, optimising for Tripadvisor’s search engine might be a better alternative. For all of these queries, Tripadvisor is ranking in the first position. Again, SEO is not just about ranking a website: It’s optimising for user intent. The user intent here is comparison. If I were a restaurant owner in any of these cities, Tripadvisor SEO would be something I would definitely want. People are no longer only following a linear path from awareness to consideration to purchase. The 3-step mental model, as coined by Procter and Gamble in 2005, explained that a stimulus (i.e. a successful advertisement), would influence a consumer. More specifically, it would stir some strong feelings inside them that nudges them towards thinking that they need a product. The First Moment of Truth (FMOT) meant that this “stimulus” would cause the consumer to buy the product despite multiple brands to choose from. The Second Moment of Truth (SMOT) was the final step of the consumer journey – the experience of the product and how well it lived up to the consumer’s expectations. 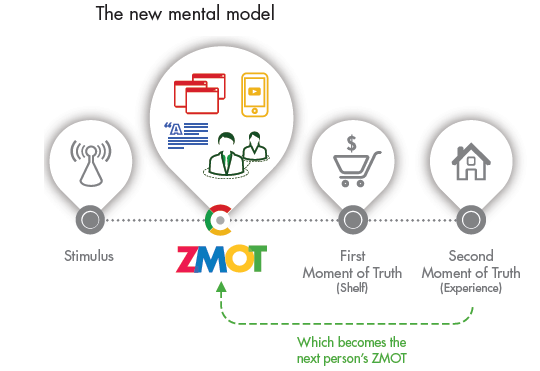 Google revamped this mental model, adding the Zero Moment of Truth (ZMOT) which takes account of the fact that purchasing decisions are now heavily led by self-directed online research. The addition of the online search! The Zero Moment of Truth (ZMOT) is spent collecting information about different brands, making comparisons and checking with friends/reviews who have already arrived at the SMOT with a given brand. Understanding the ZMOT and how to influence the consumer decision with online marketing is often the missing piece of the puzzle for e-commerce stores. However, this helpful guide on how to measure the impact of online on offline can help you bridge this gap. Navigational – a user looking to reach a particular website or product/service they already know about. In this instance there is probably only one likely destination that they’re looking to reach. These categories informed the various types of search query and generally how one should optimise for them. Since 2012, Google has gone on to upgrade and essentially rebrand the traditional taxonomy of web search into micro-moments. 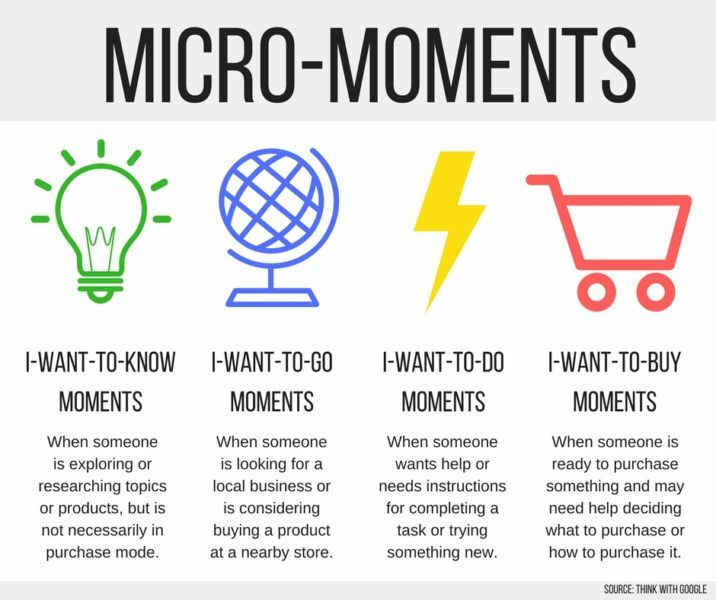 When Google invests in ideas, such as micro-moments, it’s generally a hint to the SEO community that we should care about it too. According to 2008 research, reported by Search Engine Land, the “I want to know” category could represent around 80% of searches. More recent research carried out by Sparktoro in 2018 looked at clickstream data. Shown above is a graph of how mobile and desktop zero click SERPs have increased over time. With about 62% of mobile searches and 34% of desktop searches resulting in no click, it can only be assumed that Google is getting much better at giving a direct answer. 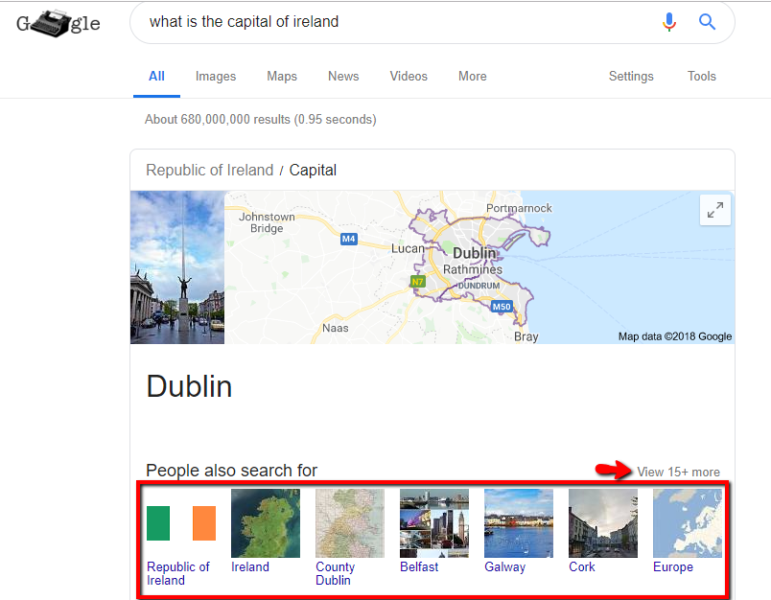 The image above shows the effect of AI and machine learning at the core of Google’s algorithm: For the query “what is the capital of Ireland”, Google has mined and collated all of the relevant information to provide what it believes is a trusted answer to the question. Google is getting better and better at providing information without the need to click on a website. Not because it has any malicious future plans for webmasters, but more so in line with its overarching goal of: “Providing the most relevant, highest quality information (as quickly as possible)”. What’s also interesting in the above screenshot is Google’s related entities (identified with a red line). The notion of a search engine that trawls the entire web and indexes that information is not as straightforward as it once was. With Google’s latest patent related entities, it is now looking to understand relationships between entities. Google is now improving its understanding of the relationship between queries, entities, predictions on future searches and analysis of our past searches. Ultimately, Google is becoming better at predicting our intent. As Google gets better at predicting intent, SEO campaign strategies need to keep pace when it comes to identifying intent and mapping the user journey. A great example of this is when someone is researching topics or products but not necessarily in the mindframe of purchasing yet. The first result here is a direct dictionary answer from Google’s Knowledge Graph. Since 2012, Google has been adding these ‘Serp features’ to its results and understanding Google’s SERP features can point you in the right direction for Search Intent Optimisation. Anywhere Google can answer a question shortly and concisely, there will be fewer clicks to the organic results. Why You Need to Care about Informational Intent? Informational search probably covers the largest “bucket” (category) of keywords, and is generally representative of users looking for a quick answer. These are people looking for a phone number, directions, or even a piece of recent news, such as a sports score or headline. Responding to consumer behavior, Google is also changing its SERP and moving towards being much more of an answer engine and we need to understand how to optimise for voice. In other words, help educate your customers when they are searching for your service/product as a solution. This means getting links to products or service landing pages, which might be difficult without some convincing or sponsorship (in some shape or form). In this context, PR means attention from journalists/researchers. Unless your product or service is novel and newsworthy, getting press links to product or service pages is out of the question. A better search strategy is to use information-based visits to the site from SEO to qualify areas of interest. Then you can build a remarketing list that can be used with your paid marketing. Remember, approximately 50-80% of all search is informational. Potential customers may not be ready to buy what you are selling and that’s okay. This type of traffic can help to build your brand so that when they are ready to buy, your brand is on their mind. Search intent has redefined the marketing funnel. No two customer journeys are exactly the same. For some people, a navigational search is all they need to make a purchase. They hear/see an ad (be it online or offline), then they search for that brand. That’s where the ZMOT is very powerful. On most top brands, competitors bid in an attempt to steal their customers. Most searchers might be brand loyal, but the modern, savvy consumer will research other brands to make sure that they are getting the best deal/offer/value. Consumers might even turn to Youtube/Facebook/Search for reviews of the product before they make up their mind to purchase. And others might even Google each and every product and analyse the pros and cons for themselves before making a purchase. Therefore, if your e-commerce website is only focused on commercial keywords such as “buy” followed by the product name, it could be missing out on that ZMOT – between helping your customers with their research and getting them to that first moment of truth. 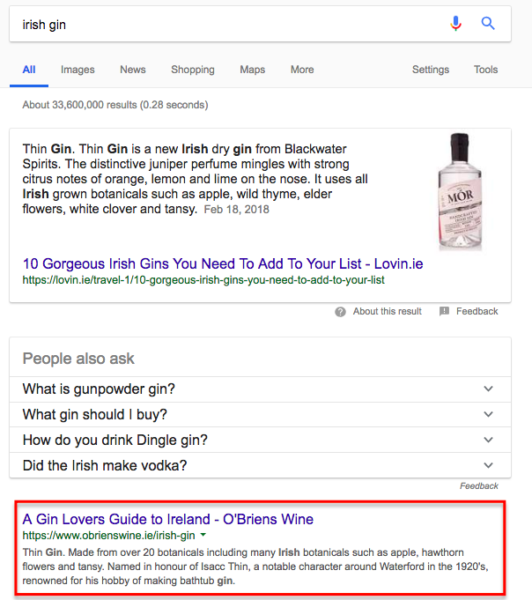 A great e-commerce example of using informational intent based traffic for the generic search “irish gin”. 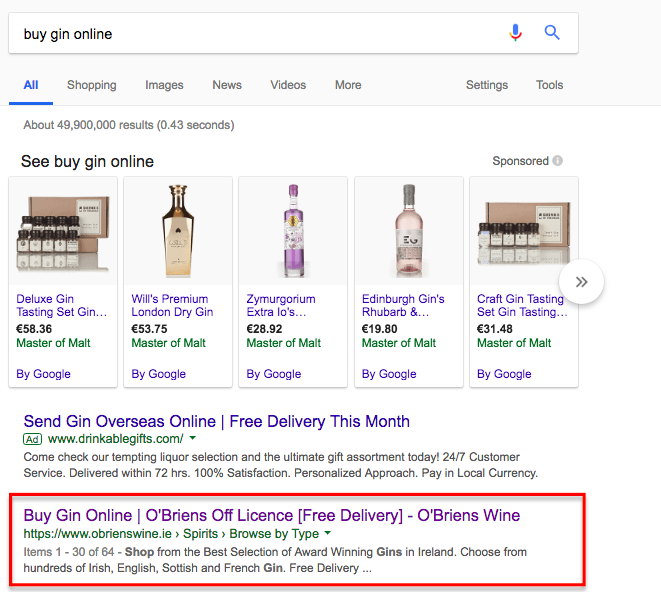 Irish off-licence group and e-commerce store O’Briens Wine have created a guide to Irish Gin, which both matches the searcher intent for this informational query and helps the ZMOT for people that are not familiar with Irish gin. The guide also ranks for “best irish gin”, “best Ireland gin” and even for the generic keyword “gin”. Again, this refers to ranking for the vanity keywords, but also making them valuable by matching the intent of the searcher looking for more information. By ranking with content here, they are capturing relevant traffic and helping their customers learn about Irish gin, how its made, the various distilleries and even gin cocktails to try with Irish gin. They have also done a great job at ranking for the commercial keywords such as “buy gin online” with their product category page. Matching the commercial keyword intent. As a key takeaway here, it’s a mistake to think that search or SEO e-commerce are just about ranking category or product pages: This line of thinking doesn’t take into account that over 80% of online search is informational. By not including the ZMOT into your online marketing campaign for your e-commerce store, you are missing out on not only valuable traffic but a valuable chance to help your customers on their purchasing journey. Navigational search is when a searcher is looking for a predetermined destination. Generally navigational intent is not generally influenced by SEO but it can be. For example, let’s say you were thinking about a career change into the culinary industry. And you might have always wanted to become a chef. The first query that would pop into your head might be ”How to become a chef”. You might not be aware that you may need a culinary school, undertake an apprenticeship or learn on the trade. 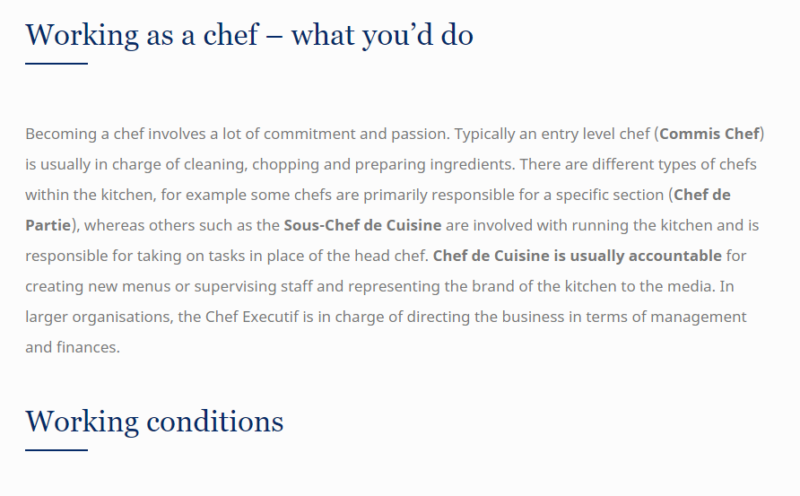 Le Cordon bleu do a great job at influencing the navigational intent with their guide on “how to become a chef”. The guide does a great job at fulfilling the users intent by answering all of their potential questions. [Note* Answerthepublic, or even People Also Ask (PPA) and related search investigation can be all great ways of finding out customers potential questions. Commercial Investigation is, according to Rand Fishkin: “straddling the line between research and commercial intent.” These are queries where the searcher is looking to gain information to help them inform a buying decision. Even if they do not convert, this is the gathering of information that has the potential to later lead to a sale. Although we are getting very close to the purchasing funnel, we still need to provide the users with lots of options. 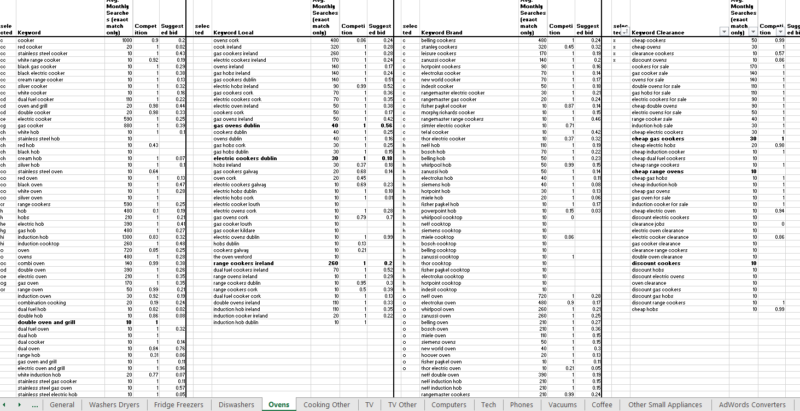 This is where category pages in e-commerce SEO come in very important. It’s important to ensure that you don’t just have a singular category for all products, but that you think of having various types of categories in this commercial investigation journey. Littlewoods Ireland do a great job of this with their women’s dresses category. This allows them rank organically not just for dresses, but for all of the different types of dresses that customers may be interested in: The brand includes all the different options to choose from, and have even created a periodic table of dresses! However, the key takeaway here is that they have not made the fundamental SEO mistake that most e-commerce websites make: All of the categories to the left above are all product categories and not faceted navigation. 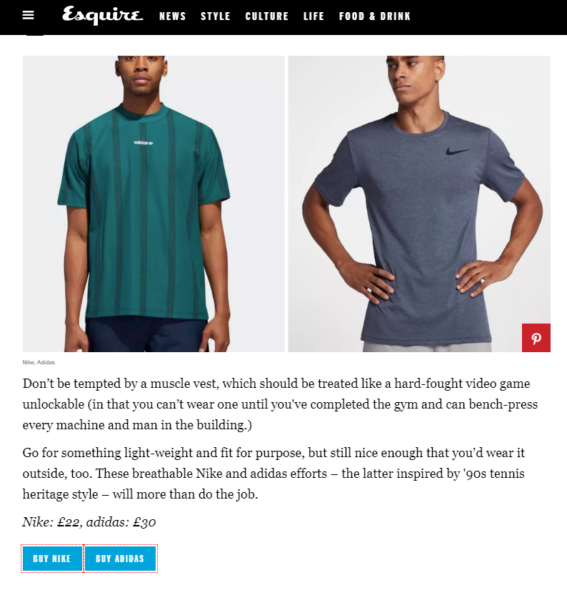 Faceted navigation, normally found in an e-commerce sidebar is great for UX and CRO, but if not handled correctly can be terrible for SEO and cause spider traps. Transactional intent searches are queries where the searcher is looking to make a purchase, find a place to make a purchase, or complete a task. As well as purchase queries, these searches might also involve looking up the address of a store or signing up for a service. Understanding searchers’ implied intent will allow you to develop better content to serve their expectations. 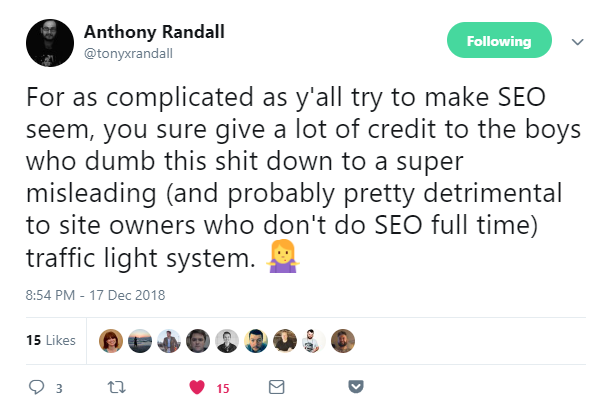 A common problem, similar to what Anthony described, is category pages getting cannibalised by their blog pages due to them being “optimised for the traffic light”. Again, instead of optimising a page for a query, optimise for intent! Otherwise you may run into keyword canibalization. How to analyse the SERP and predict searcher Intent. 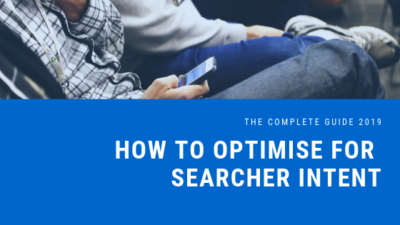 Before going into how to analyse a page’s SERP (search engine results page) for searcher intent; it’s also important to look at how to optimise a page to appear high in Google’s SERP for a particular keyword. 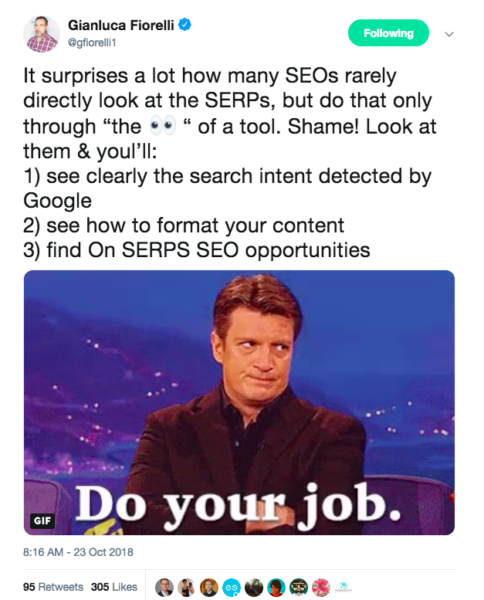 It’s unfortunate, but as Gianluca Fiorelli, International SEO Consultant points out on Twitter, generally most SEOs start with keyword research tools, instead of directly looking at the SERPs to figure out keyword targeting and strategy. 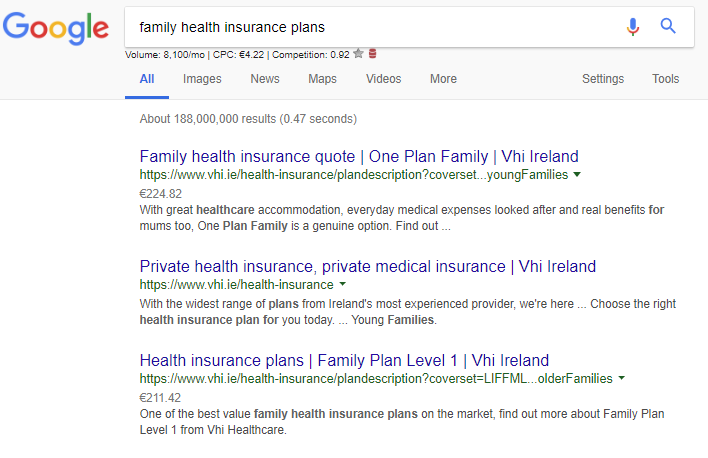 Right that’s it, final resort, none of the above worked, lets manipulate this and build and earn new links to that page with more exact match keyword anchor text. But in the fog of panic, it’s easy to overlook the best answer for the user’s query – search intent! Lonely Planet – as you might imagine – has a massively powerful domain and over 160 backlinks and 45 referring domains pointing to it. 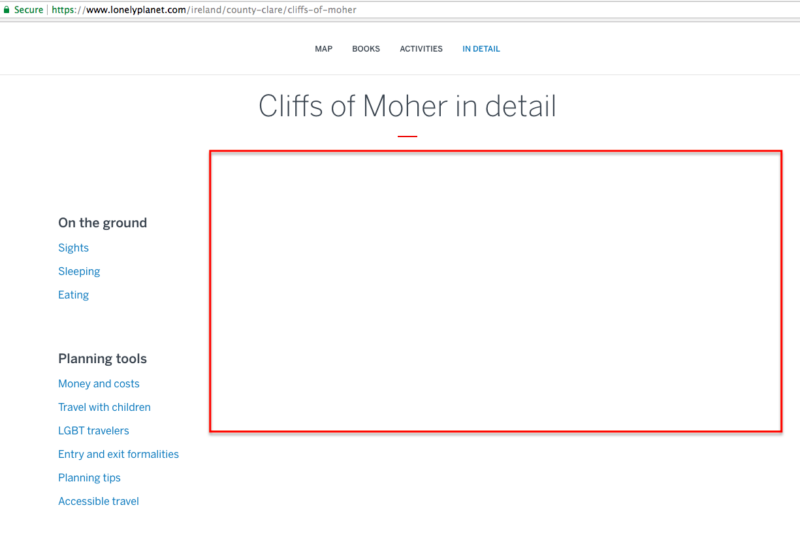 And not only that, it has over 23 referring do-follow domains pointing to it with the exact match keyword “cliffs of moher”. So, if we are going under the assumption that this page needs more backlinks, we are clearly still in the pre-2011 mindset. The lonely planet “travel guide” as shown above clearly has very little detail and is more of an automated boilerplate page. This is a great example of where automating SEO simply does not cut it. And that’s the case no matter how big or authoritative you are: If you are not matching the searcher intent, or providing the best answer for the user, Google will not reward your website with top positions. Keyword research, when done right, can give you keen insights into customer problems, needs, desires and intent. The key with intent-based keyword research is to categorise each keyword group or set into the correct intent. Start the process with an idea sheet and try to group your ideas, not only by product/service, but also by prefixes, postfixes, descriptive words, actions, brands etc. Some businesses may only offer one product/service, but their keywords can still be grouped and themed by those categories listed above. At all points throughout this process, think about the intent of someone using the words you’re including and try to group them accordingly. Though their end need might be the same, someone looking for “payroll automation process” is more likely to be in the research phase, trying to understand their problem and looking for an informative resource (like a blog); while someone searching “payroll automation software” already understands their problem and is looking to compare solutions (via a product or features page). Thus we have grouped “automation process” and “software” under different themes. Don’t stop at current keywords: The idea is also to uncover keywords the website does not rank for at all, but which they probably should. Maybe, for example, a business refers to their product as “appointment booking software”; but when targeting the US, the demographic there would more likely use the term “scheduling software”. If the website is not referring to the term “scheduling” at all, they are missing high volumes of traffic. So only looking at current ranking keywords will miss that. Run the resulting lists through Keyword Planner to extract the search volume, competition and CPC to sort by popularity. At this stage of the process you should have multiple tabs in your document with (likely hundreds) of keywords grouped into themes. 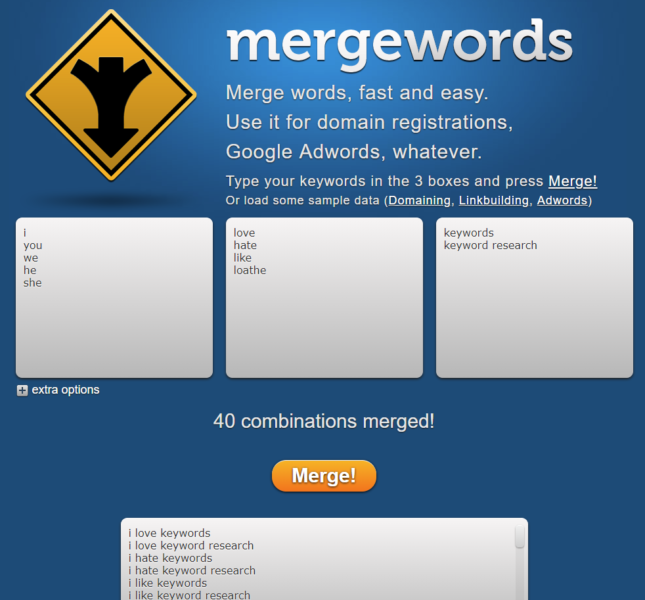 Begin selecting the best keywords from each theme. 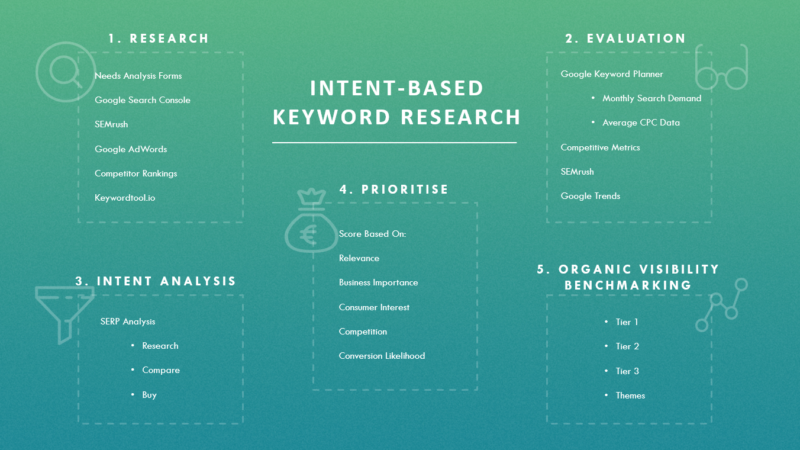 It’s too early in the process to manually attribute intent to all these keywords, but when selecting the best keywords from this list, you’re keeping in mind the intent of users’ searching each and weighing up the search volume with the likelihood to convert. Finally, you can prioritise your chosen keywords by marking their intent. So while, for example, “freestanding dishwashers” gets just a fraction of the search volume of “dishwashers”; users searching “dishwashers” are likely at the very beginning of their buying journey – the research process – not knowing anything about their requirements. On the other hand, those wanting a “freestanding dishwasher” have already passed through this process and know they don’t need an integrated one. They’re ready to compare freestanding models and/or providers. And finally, those researching “Bosch dishwashers” have already compared models, they know the brand they want and they’re likely looking for somewhere to buy it. It’s not always this black and white. Intent can be subjective in some cases and can vary business to business and case to case. 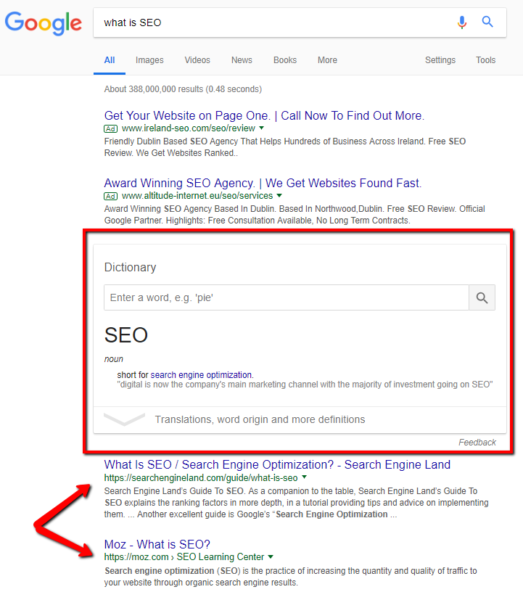 To help determine intent, you can always pull in SERP data into your spreadsheet, but as mentioned above, you should really check the SERPs to understand what Google deems to be the intent of the search by the top ranking pages. 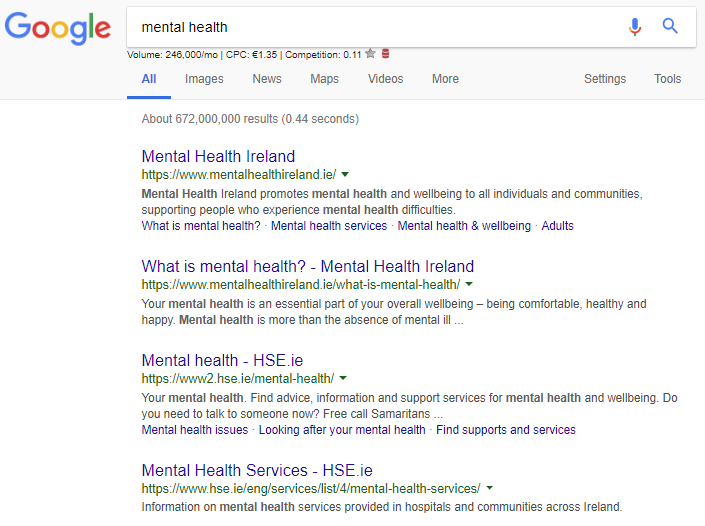 Take for example, “mental health” returns advice and resource sites (a “research” keyword). 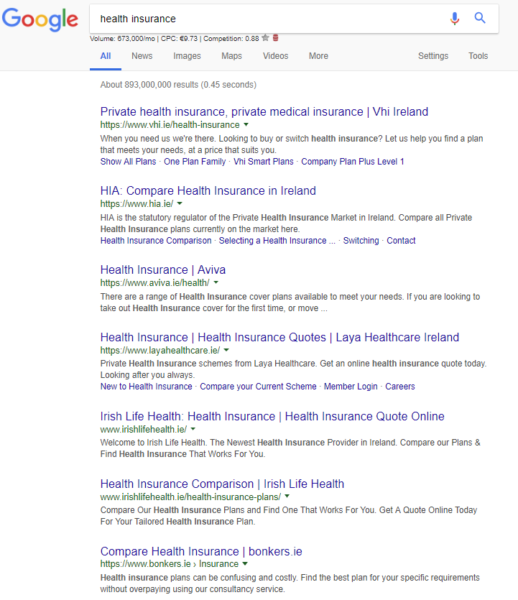 While searching “health insurance” returns varying providers and comparison sites (a “compare” keyword). And finally, “family health insurance plans” returns health insurance products and prices (a “buy” keyword). Back in 2014 Google released some in-depth faceted navigation guidelines that I still keep bookmarked and refer to often. Following these guidelines is critical to prevent the URLs created by faceted navigation from getting out of control and plaguing your website with duplicate or low value content issues, and these guidelines should be mapped to differing stages of search intent. It’s not all about search volume for e-commerce sites – user intent is of critical importance here. The goal of an e-commerce site is to attract traffic comprised of users that will make a purchase. So, targeting keywords with purchase intent, or at least closer to purchase intent is critical. A rudimentary but helpful way to categorise keywords and their priority is to segment them into research, compare or buy. The term ‘dresses’ may get 50,000 monthly searches, but with hundreds of thousands of different dresses to choose from, a user searching that term is really in the research phase of the purchase funnel. 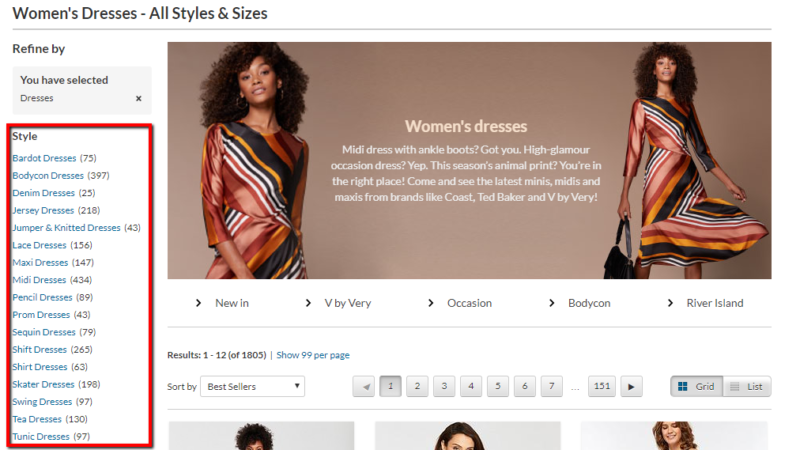 As illustrated with the Littlewoods Ireland example earlier, a site like this will (or should) have an overall “dresses” page on their site anyway: But its navigation menu shouldn’t stop there, and neither should the target keyword strategy. Compare this to a term like “maxi dresses”. This might only get a third of the search volume that “dresses” gets, but users are now past the research phase and into the comparison phase. They’re looking for a certain type of dress so they’re halfway to being ready to purchase. This should be a sub-category page and be included in a secondary or drop-down menu. 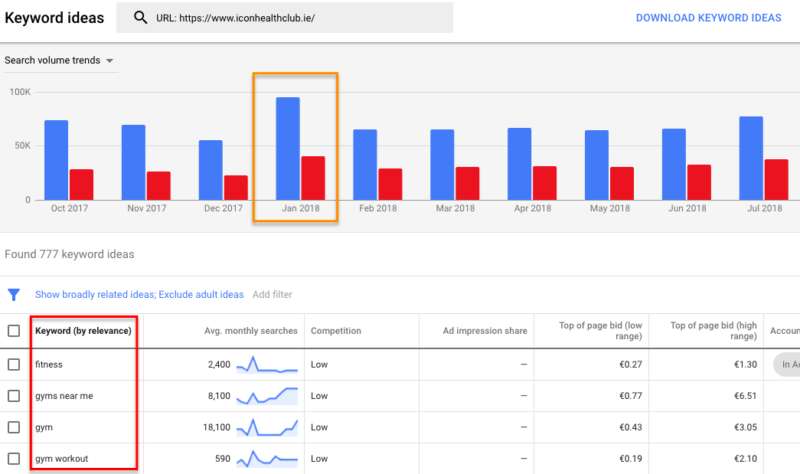 Moving even further down the funnel, terms like “red maxi dress” (colour filter), “long sleeve maxi dress” or “hi low maxi dress” (style filters) may only get a fraction of the searches that “dresses” gets each month, but users now know almost exactly what they want, and they’re looking for someone to sell it to them. Terms like this don’t warrant their own menu item or sub-category page, but you should include these options within your colour and style filters and allow the colour and style filter pages to be crawled and indexed. The more detailed and long-tail searches become – e.g. “green maxi dress size 12”, the lower the search volume, but the closer the user is to purchase. So the size filters are useful to users, but the resulting filter pages shouldn’t be crawled or indexed. Search engines have traditionally relied on text data and backlinks to determine search engine ranking positions. As search has improved and become more intertwined with our life and needs, users can now search images, social, video content, equations, local locations and much more. But perhaps even more impressive, and particularly relevant to us as organic and paid marketers, is the continuous improvement of Google’s sophistication and investment in AI to understand user intent. Beyond matching keywords alone or even trying to optimise a page for a query, think about the potential intent behind that searcher. Analysing the SERPs is the best way to source that information. 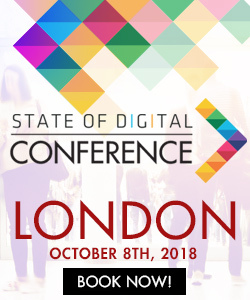 Dan Smullen is an SEO executive at the multi-award winning Digital Marketing Agency, Wolfgang Digital. By day, you can find him crawling, fixing and helping companies turn their customers search into found. In the evening he is Chloe’s Dad & Ciara’s Husband. At the weekend he is a massive craft beer & BBQ aficionado despite the Irish weather! 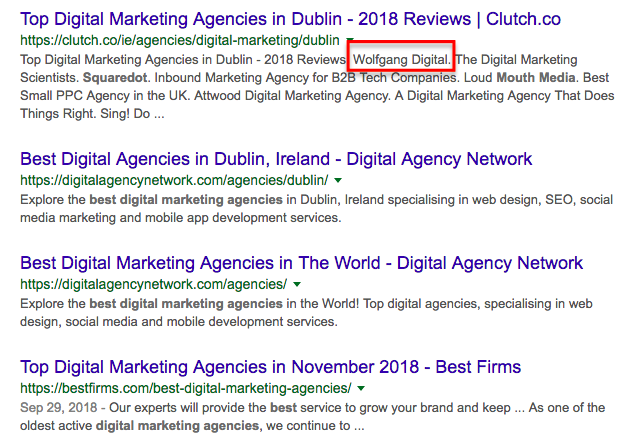 You can find more of his blogs over at the Wolfgang Digital Blog or find him on twitter retweeting the best of SEO articles that he reads on his way in & out of work on the Luas.